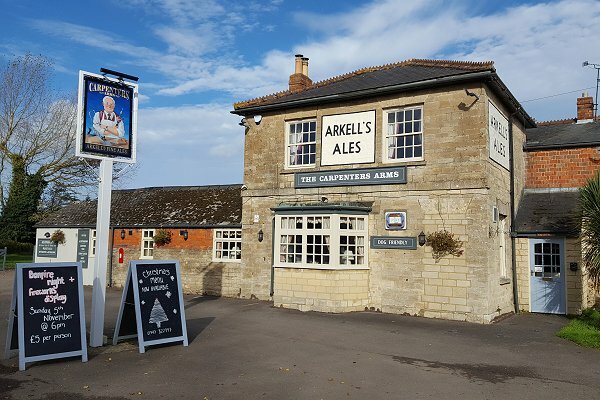 Train travellers returning to Swindon from London know they are home when they see the Arkell's Ales sign on the side of The Carpenters Arms. The track looks right down on the pub which, actually, was here before even the railway. 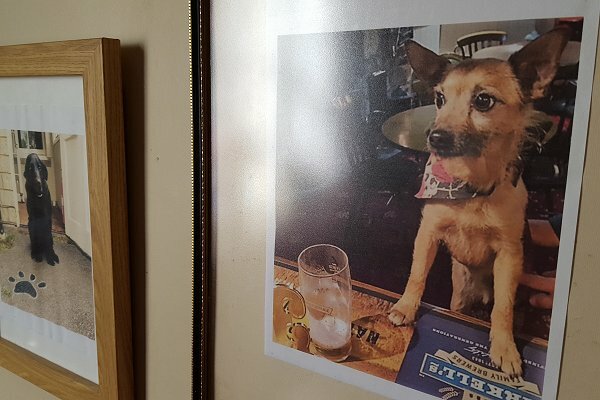 The Carpenters now not only offers 9 en-suite accommodation rooms but very good food & a room just off the main bar called 'The Dog House' that's very popular with those who love their four-legged friends. 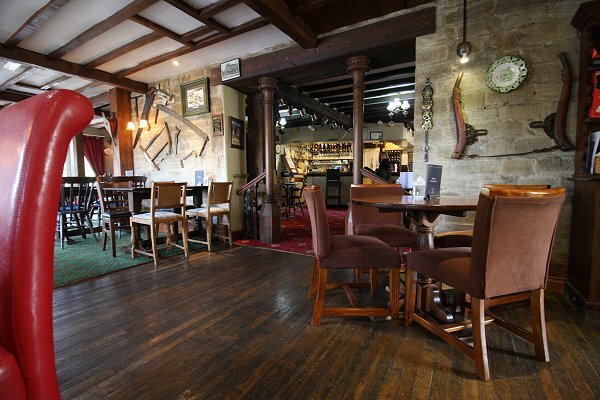 Very good selection of vegetarian dishes & specials too.